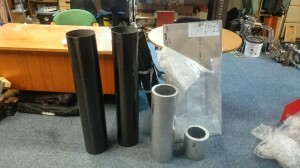 A couple of weeks ago we received the first components of the Martlet 2 airframe. 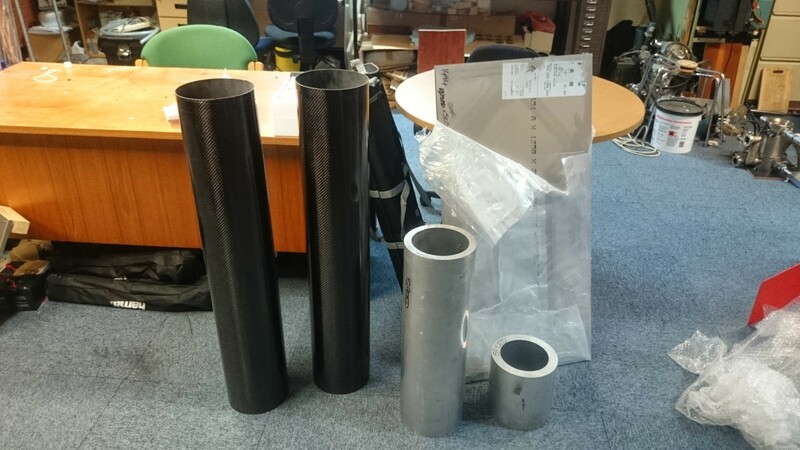 These roll wrapped carbon fibre tubes have an inner diameter of 182mm and a 2mm wall thickness. They were bought ‘off-the-shelf’ from a UK company and look great! Both need facing off to ensure the top and bottom surfaces are perpendicular to the rocket axis. 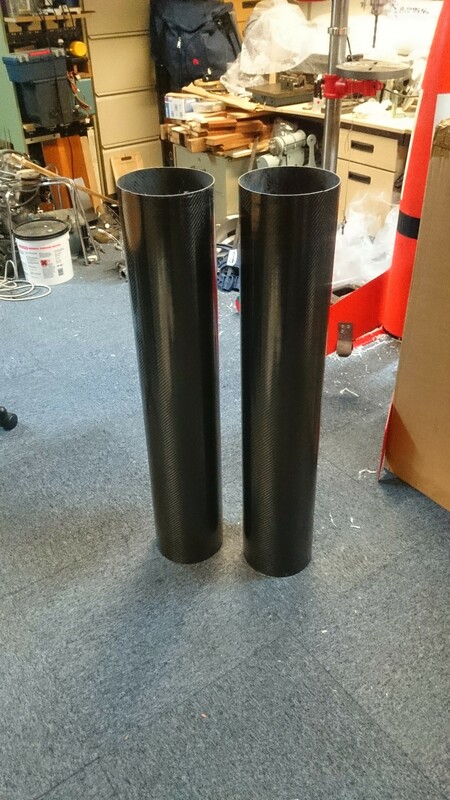 One of the tubes needs to be cut down to 750mm for the motor section whilst the other is already at just about the correct length for the parachute section. If time allows then a thin layer of epoxy will be applied to the outside in order to get a nice smooth aerodynamic surface. 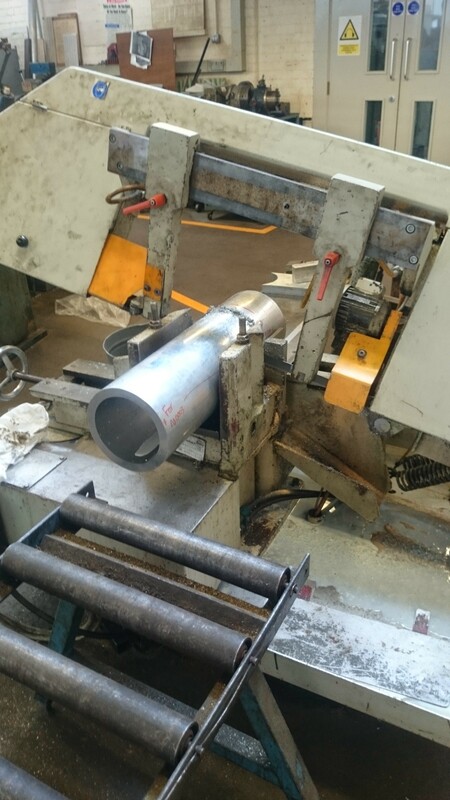 In addition to the carbon fibre tubes we have also got, as of this morning, most of the aluminium stock from which various parts of the airframe are being machined out of. A length of 7.5″ OD x 1″ tube from which the nose cone coupler will be machined. The extra 1/4″ is required to proved a surface that the Metron protractors located in the nose cone can push off from. 500 x 1000 8mm thick aluminium plate which will be used to machine the rocket’s three fins. We still need to get stock for machining the nose cone tip and the mirror shroud – though as these are much smaller parts the stock for these will most likely be obtained from CUED stores. Now that we have the stock we can start getting components machined. 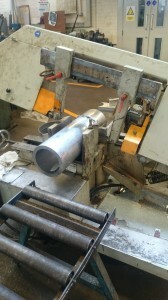 Once the body tube and nose cone coupler are machined they can be sent straight to the anodisers. The fin can and fins, however, have to be welded together before a further set of machining operations can be performed on the combined unit. These machining operations are done in order to ensure that some of the machined features inside the fin can (such as the all important thrust ring!) have the correct dimension and aren’t warped during the welding process. After this has been done the whole lot is sent to the anodiser for hard anodising. Hopefully this will all go smoothly and we’ll soon have pictures of the machined parts.